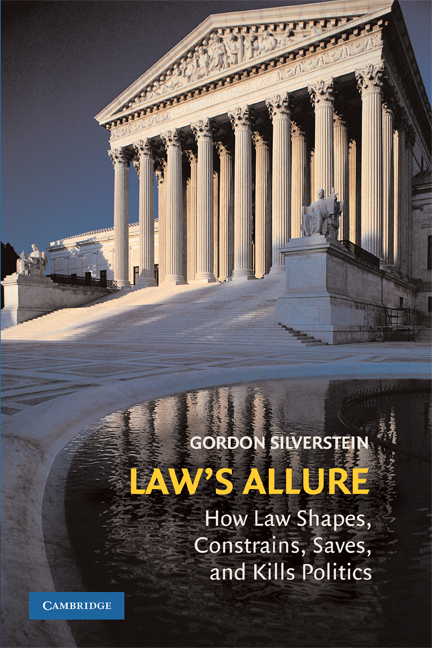 Gordon Silverstein is the author of Law's Allure: How Law Shapes, Constrains, Saves, and Kills Politics (2009). Silverstein is Assistant Professor of Political Science at the University of California, Berkeley. A former journalist with a PhD from Harvard University, Professor Silverstein also has taught at Rice University, Dartmouth College, Lewis & Clark College, and the University of Minnesota. Silverstein has written a number of articles and book chapters on American politics, the separation of powers, and judicial power in comparative perspective.